Rave alert! I really like these new 1MORE Triple Driver Over Ear Headphones from the exceptional 1MORE USA. The round ear pieces are large enough to cover my medium size ears and are also small enough so I can comfortably wear my eyeglasses with the temple pieces just touching the tops of the outside of the ear cups. The overall sound is in the sweet spot between high end consumer and entry level audiophile, with an affordable price to match. Comfort is also excellent, from the leather and padded headband that doesn’t crunch the top of my bald cranium to the squishy foam and leather on the aforementioned earpieces. Construction and design are consistent with 1MORE’s stylish, progressive aesthetic, with alternating silver and black used adjacent to one another. 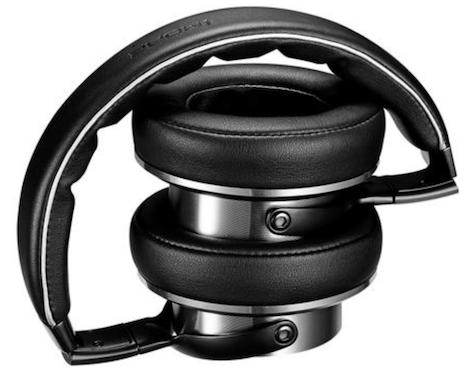 The ear segments fold inward and rotate backward for efficient storage, travel, and DJ use. The detachable Y-cable has a robust woven fabric covering. A super sturdy hard shell travel case is provided, as are a cloth tote bag and a 1/4 inch audio adapter. There is no Lightning tip adapter, which would be a thoughtful addition. Ambient sound isolation is moderate. My wife is yelling at me across the patio now to come answer the phone. I can see her gesticulating and I hear a bit of her voice along with Roy Orbison’s You Got It at 45 percent volume on my iPhone, so let’s call this feature acceptable. When she sits near me on the patio she can barely hear what I’m listening to from any sound bleed, which is also fine. 1MORE does not claim these headphones are completely sound cancelling in either direction. You will need up to 40 hours of listening at moderate volume levels to condition the triple driver speakers in these headphones. Treble is brittle out of the box, and it becomes smooth and integrated with the midrange during the first hours of break-in. The bass becomes hearty and natural for a fully integrated sonic experience. If you want death-defying booming bass, these headphones will need a massive equalizer (EQ) boost, because again 1MORE wants to satisfy real music lovers. 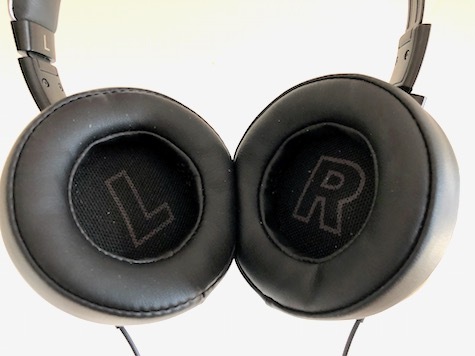 Weight and bulk are evident during extended listening periods but are not problematic, because these 1MORE Triple Driver Over Ear Headphones are more light than heavy, and they balance nicely on my ears and head. I’m listening now to David Bowie’s Space Oddity, and I’m much more aware of the remastering of the heavily-synthesized 1970’s studio sound and the deliberate stereo effects than of the feel of the physical unit. If you have a very large head or a mass of hair, make sure you can try before you buy because the earpiece extensions that are integrated into the headband are one inch long on either side. Also decide if you like the Maserati-inspired appearance of the exterior of the ear units, which was an intentional design feature. When I’m wearing headphones I don’t care if they are purple with pink stripes when they sound great and feel comfortable, so your fashion miles may vary from mine. I like the no frills appearance of these headphones, with a bit of flash but not a look that screams steal me when I’m in a public place. There is an immersive spatiality to the splendid sound pouring into my ears while I’m evaluating these headphones. I can hear more instrumental and vocal details in familiar music than I knew were there previously. The midrange vocal zone is slightly recessed, which unconsciously encourages the listener to hear deeper into the music, and is intentionally engineered into the product. 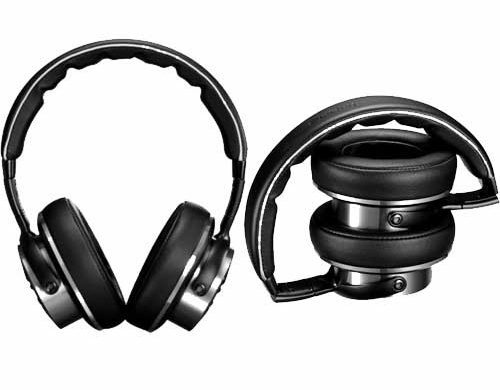 A $250 cost is the bottom of the super premium range for consumer headphones. 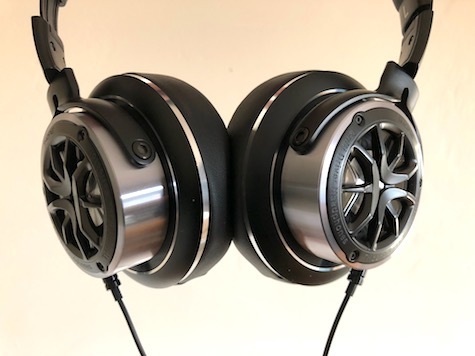 This price is still a serious investment for most of us, and 1MORE is bold in taking on the competition with these compact over ear headphones. This company’s audio gear has consistency and excellence year after year; their Quad Driver In-Ear Headphones are still my favorite earbuds. And their MK802 Bluetooth Over-Ear Headphones remain outstanding value and quality both for wireless and wired listening. Let’s examine these Triple Driver Over Ear Headphones with some specific demo test tracks. I Ain’t Never, a classic country song by Webb Pierce — These headphones are mega-bright, with a powerful and punchy bass. Stereo sound is exact and assertive. Vocals are perfectly placed and make me feel like I’m in the middle of the ensemble in the studio. The bass vocal harmonies have a riveting presence that knocks me back in my chair and makes me close my eyes to be able to contain all the musicality in this legacy recording. Guitars and percussion hang back a tiny bit to let the singers shine, yet the instruments drive the tempo and feeling. Falling In Love Again by Janet Seidel, accompanied only by bass and ukulele at first — If you want to hear headphone bass at its best, you have arrived. The ukulele is on the left track only and the bass nudges into the center a bit from the right side to support the centrally-placed vocal solo. Then a plucked guitar joins on the right. Even with only these four components my listening mind is fully engaged and pulled in deeply. No ukulele I’ve heard ever is this compelling. This song is captivating when heard with these headphones. Rivers of Babylon by Marley’s Ghost, with strong vocal harmonies — The detail in the calypso style percussion is superb. Interaction between pedal steel guitar and electric guitar in the instrumental break is exhilarating. Then the mandolin enters and the feeling gets an even better lift. I use the term immersive a lot when describing good audio equipment, and these headphones are that and more. Then I cranked up a remastered classic rock track that is less obscure, Honky Tony Women by the Rolling Stones — 1MORE’s Triple Driver more than holds its own, especially when you want real impact to your percussion and low end, plus a notable presence (as opposed to a sleek smoothness) to your mids and highs. 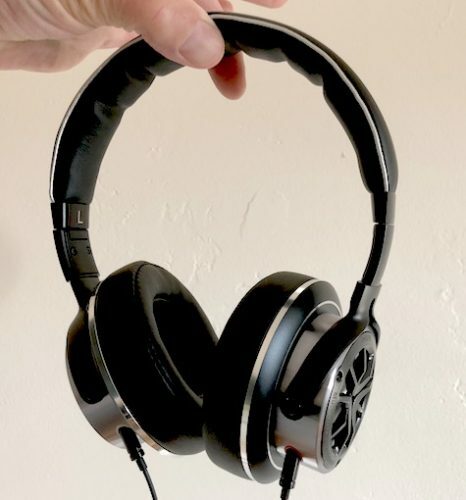 1MORE’s aggressive pricing, folding side segments, and eyeglass-friendly ear cups, along with remarkable sound, make these headphones worthy of the attention of many music lovers. Over and over, song after song, genre after genre, 1MORE’s new Triple Driver Over Ear Headphones satisfy me more and more with continued listening. Give them a try. You will agree.